It’s my humble opinion that the Supreme Court overextended it’s reach in it’s decision granting rights to gay couples to marry. It would have been fine if they defined the union as a civil union or gave it a different name other than that already defined in the Bible. Instead of doing that, they stole and changed the definition of a faith-based word, “Marriage.” It’s a clear example of man attempting to change God’s order of things to determine what is right in man’s own eyes. Let me be clear that the Creator of the heavens and the earth has not and will not accept this new definition of the word “marriage.” This Supreme Court decision is a direct slap to faith-based communities and is perilous to our national independence. Let’s remind ourselves of what the Bible teaches about marriage. Genesis 1: 21-24 And the LORD God caused a deep sleep to fall upon Adam, and he slept: and he took one of his ribs, and closed up the flesh instead thereof; 22 And the rib, which the LORD God had taken from man, made he a woman, and brought her unto the man. 23 And Adam said, This [is] now bone of my bones, and flesh of my flesh: she shall be called Woman, because she was takenout of Man. 24 Therefore shall a man leave his father and his mother, and shall cleave unto his wife: and they shall be one flesh. 25 And they were both naked, the man and his wife, and were not ashamed. There is no room for questioning God’s definition of marriage. God made a woman out of genetic material from Adam and gave her to him to be his wife. A “husband” and a “wife” is requisite for marriage. God obviously did not make another man, he made a woman. Let’s see what God’s perfect law of righteousness (which means that which is “right” in God’s mind) says about homosexuality. Again the Word of God makes it abundantly clear that lesbianism and homosexuality is unnatural and against God’s order. When Jesus returns he will set up his kingdom in Jerusalem and it is his law that will extend throughout the earth. In that day there will be no “gay” marriage and no leniency for it. But today, God’s Word means little to those in power and they do what they want for political expediency. It is a sad day in America when the Supreme Court oversteps their commissioned purpose and writes or re-writes law to agree with a political agenda. The word “Marriage” is defined in the Bible, not the constitution. The Supreme Court has redefined what the word “marriage” means by applying their own interpretation of it which is in direct contradiction to the written Word of God. There is no question the Supreme Court overstepped its bounds. It has done this a number of times recently; twice with the Obamacare legislation. In both Obamacare cases, the law was rewritten to make it constitutional when it clearly was not. Overstepping their authority, the Supreme Court has shown it no longer upholds the constitution of the United States. Marriage is a faith-based word defined by the Bible. 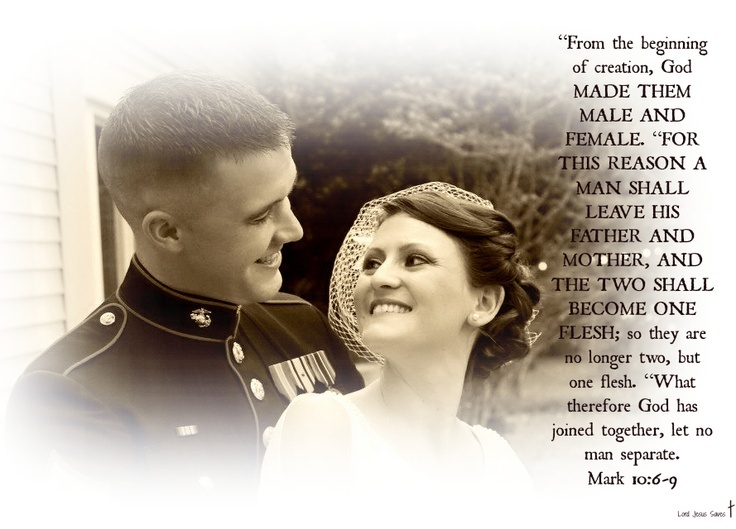 It still means the joining of a man and a woman in the Bible and will remain that way in God’s eyes. So what about faith-based groups who perform marriage ceremonies for couples in the United States? How are we supposed to keep true to our solemn beliefs when the law of the land says otherwise? I predict a huge fallout is coming as the more militant homosexuals and lesbians go to faith-based practitioners and demand marriage ceremonies knowing they will be refused. Will pastors and priests be forced to provide marriage services to lesbians and gays or will bey be able to refuse? Watch the lawsuits begin. Watch 501C3′s be revoked. But most sadly of all, watch faith based groups recapitulate and roll over so they can “stay within the law” thinking God will approve of their actions. I fear a terrible fallout is coming and since the Supreme Court is the highest court in the land, there is no recourse other than cessation. This is a terrible time in U.S. history and there is no turning back. The law has been made and it will be upheld. Faith-based groups have been spat upon and so have faith-based businesses. There is no legal remedy in sight. I pray that God’s true servants will stay true to the Word of God “no matter what.” Let’s have the same attitude as the apostles did when they were told not to do what God wanted them to do. Keep in mind that they were in prison, on trial when they said this. That is boldness. That is conviction. That is upholding the Word of God no matter what anyone says whether it be the government or not. Brethren, our very existence is now at stake. We have to stand for what is right in God’s eyes which we have seen very clearly at the beginning of this post. I encourage you to not cower, not draw back and not feign from the task set before us. God is with us and will vindicate us no matter what things appear to be in this world. Do not give up. Do not doubt God. Stand strong with the power of His might in Christ Jesus. Even the members of the Court have succumbed to the intense social pressure. No, they have failed to see, and defend, that the definition of marriage is unchangeable, immutable, and forever one man and one woman, in union with one another. It’s as natural as the river flowing down from the mountain to the sea. Thank you CCC for the scripture passage from the Gospel of Mark reminding us of this.